CINCINNATI - As economic tempests go, the bankruptcy and liquidation of Toys "R" Us is a doozy: Up to 33,000 jobs lost, up to 735 U.S. stores closed and billions of dollars in debt that could go unpaid. But for every ounce of pain that flows from the retailer’s demise, there is some measure of opportunity ahead for its rivals, landlords, employees and customers. “Anytime there's a disruption, we have the ability to be able to take advantage of it,” said Mark Butler, co-founder and CEO of Ollie’s Bargain Outlet Holdings Inc. In an April 4 earnings call, Butler said his company will look for deals on real estate, merchandise and maybe even some new employees in what’s left of Toys "R" Us. Economist Robert Kleinhenz said these opportunists are one reason the collapse of Toys "R" Us will do no permanent damage to the U.S. economy. Other silver linings include a strong job market, rising demand for commercial real estate and steady consumer appetite for new toys. Still, it was a jolt on March 15, when Toys "R" Us announced would pursue “an orderly wind-down of its U.S. business” after years of struggling with a $5 billion debt load from a 2005 leveraged buyout. Bain Capital, Kohlberg Kravis Roberts and Vornado Realty Trust paid $6.6 billion to take the company private, pursuing a consolidation strategy that led to 2009 purchase of KB Toys and FAO Schwartz. The owners tried to take the company public again in 2010 but declining sales and a weak IPO market led them to give up on that idea in 2013. At the same time, Amazon’s rise put the same pressure on Toys "R" Us that other retailers faced, pinching profits and eroding market share. So, the company that disrupted the toy industry with low prices and a vast inventory found itself disrupted by a digital rival that could deliver an endless supply of toys for less. 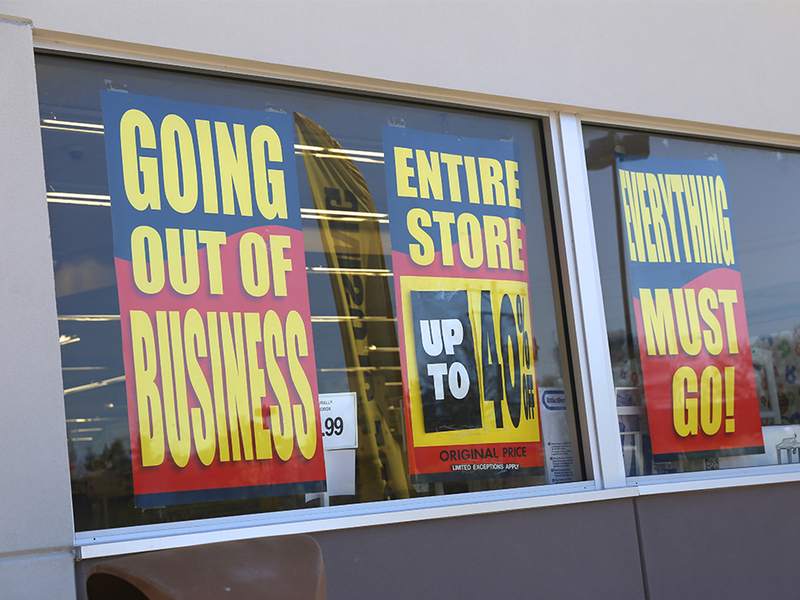 When it filed for bankruptcy in September, it joined a list of more than a dozen other retailers who sought bankruptcy protection in 2017 . The list includes The Limited, Radio Shack, HH Gregg and Gordmans. The chain’s heavy debt load kept Toys "R" Us from investing heavily in e-commerce and experiential retail, two strategies that have restored some measure of growth for Cincinnati-based Macy’s. Now that it’s opted for liquidation, Toys "R" Us will flood the U.S. real estate market with 23 million square feet of vacant space. Trepp LLC, a New York firm that tracks real estate financing deals, said Toys R Us has 92 stores in retail centers that owe $4.4 billion to bond investors, including a $7.15 million loan to Turfway Commons in Florence. Toys "R" Us occupies 31 percent of the shopping center’s space with a lease that wasn’t set to expire until 2022, according to Trepp. IRC Retail Centers, which owns Turfway Commons, wouldn’t comment on its plans for the space. 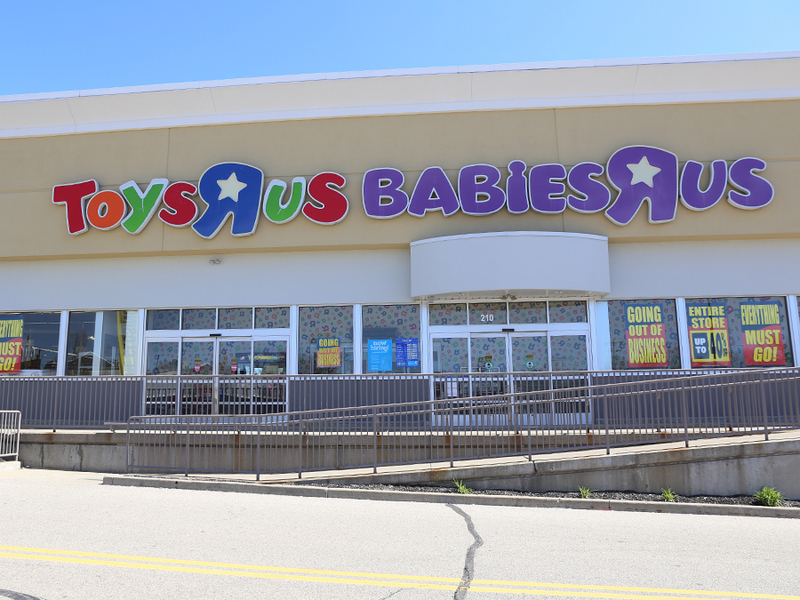 But Chang said retail demand is strong enough in Cincinnati for shopping centers to quickly replace the 230,000 square feet occupied by Toys "R" Us and Babies "R" Us stores. Some store locations will be claimed faster than others, Chang said, but there will be plenty of fitness centers, restaurants and growing retailers interested in the bargains an empty store offers. The toy industry will suffer some short-term losses, as a retail channel that still boasts a 15 to 20 percent market share evaporates over a few weeks. Morningstar analyst Jaime Katz downsized revenue and profit estimates for Hasbro and Mattel for 2018 but predicts the liquidation will do no lasting damage. “We anticipate Mattel and Hasbro could be through the worst part of TRU’ s wind down by the third quarter, when we expect more normalized (very low- single digit) demand to resume,” Katz wrote in a March 18 note to investors. Jeffries analyst Stephanie Wissink estimated March 9 that 10 to 15 percent of Toys "R" Us sales could vanish forever as toy sellers shift to Walmart, Amazon, Target and others for distribution. That’s because smaller toy companies found easier access from Toys "R" Us than big chains are likely to provide. But Johnson Investment Counsel analyst Joe Edelstein thinks toy companies will eventually figure out how to do without Toys "R" Us. Toys "R" Us employees should face only short-term turmoil as they re-enter a labor market in which jobs are plentiful and wages rising. Which brings us to some of the less tangible impacts of this toy story with a sad ending. Toys "R" Us is a high-profile example of two troubling trends: Retailers struggling with debt and private-equity deals in danger of collapse. The New York Times reported March 16 that Toys "R" Us is the latest in “a wave of buyouts” in trouble, including iHeartMedia, a radio company that file for bankruptcy in March and the Winn-Dixie supermarket chain, which is trying to restructure its debt. “Lenders are going to tread very carefully when it comes to offering debt financing to retailers,” he said. “Certainly, if they’re going to grow they’ve got to grow with a very thoughtful plan in order to get financing. If they’re going through acquisitions in a market that’s already declining then I think any lender is going to be looking with some suspicion at that marketing plan because we’ve seen this happen before and now the Toys "R" Us liquidation is just the most recent one."